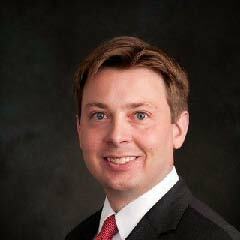 J. Eric Rottinghaus is a contract attorney at the Children’s Law Center. At CLC, Eric provides legal advice and representation to students and their families in the areas of Special Education and School Discipline. Eric has significant experience in State and Federal Litigation involving the Educational and Civil Rights of students and children with disabilities. Eric obtained his B.A. in political science from Xavier University in 1998, and his J.D. from Northern Kentucky University’s Chase College of Law in 2001. He is licensed to practice law in Kentucky, Ohio, and the District of Columbia. Eric is a lifelong Northern Kentucky resident.